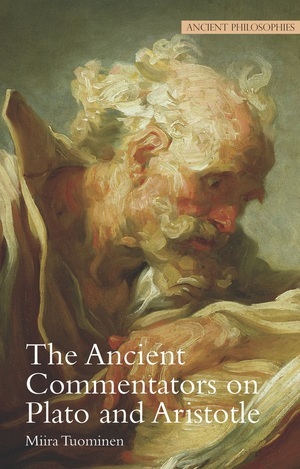 The study of the ancient commentators has developed considerably over the past few decades, fueled by recent translations of their often daunting writings. This book offers the only concise, accessible general introduction currently available to the writings of the late ancient commentators on Aristotle and, to a lesser extent, Plato. Miira Tuominen provides a historical overview followed by a series of thematic chapters on epistemology, science and logic, physics, psychology, metaphysics, and ethics. In particular, she focuses on the writings of Alexander of Aphrodisias, Themistius, Porphyry, Proclus, Philoponus, and Simplicius. Until recently, the late ancient commentators have been understood mainly as sources of information concerning the masters upon whose works they comment. This book offers new insights into their way of doing philosophy in their own right. Miira Tuouminen, a researcher at the Department of Philosophy, University of Helsinki, is the author of Apprehension and Argument: Ancient Theories of Starting Points for Knowledge.